our standard designs are on display in the Profiles section. be customized exclusively for the artwork they surround. 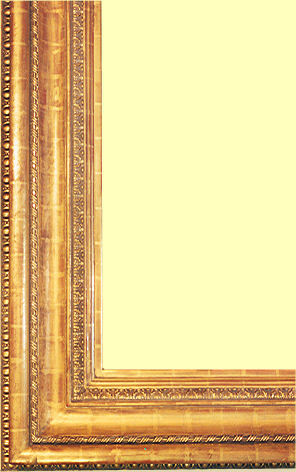 sub-frame which serves as the foundation for the layers of gesso, clay, and gold. rust or work their way free as the frame expands and contracts. which are applied to the wooden frame. than that of the gesso. This softness is necessary so that the clay will "give"
used for polishing the gold onto the surface of the clay. will have on the framed work. apply the gold to the clay surface. clay, the gold adheres to the surface. any final finishing is undertaken. (decomposed limestone) to simulate the crusty deposits of time. handling and will, over time, acquire its own patina. 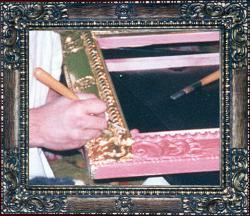 frame, and it should only be dusted occasionally with a very soft brush or cloth. 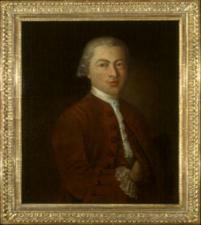 become treasured heirlooms to those who acquire them. This is a Flickr badge showing photos in a set called Casona Crown Project. Make your own badge here.